Stanley Fish y Waldron sobre la libertad de expresion y el odio. 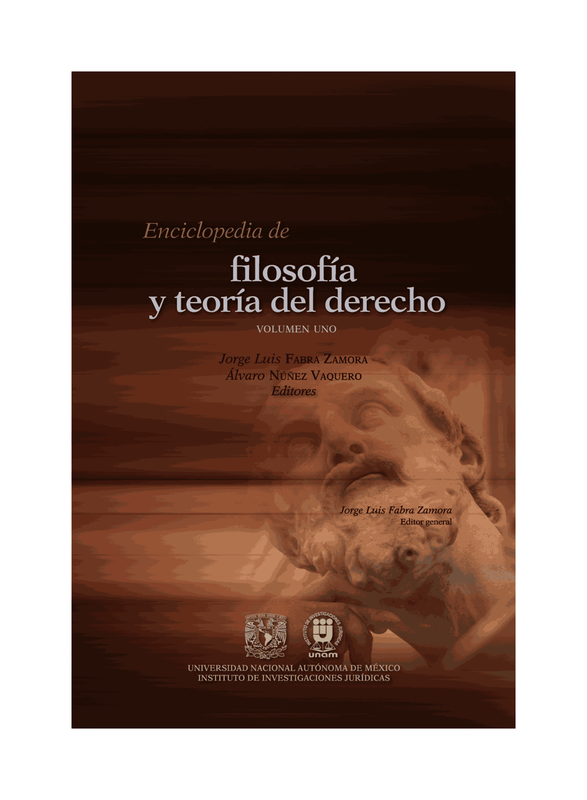 Aquí les pongo el interesante debate entre Stanley Fish y Jeremy Waldron, con ocasión al nuevo libro del último. 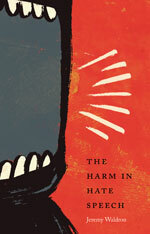 Jeremy Waldron’s new book, “The Harm in Hate Speech,” might well be called “The Harm in Free Speech”; for Waldron, a professor of law and political theory at New York University and Oxford, argues that the expansive First Amendment we now possess allows the flourishing of harms a well-ordered society ought not permit. Waldron is especially concerned with the harm done by hate speech to the dignity of those who are its object. He is careful to distinguish “dignity harms” from the hurt feelings one might experience in the face of speech that offends. Offense can be given by almost any speech act — in particular circumstances one might offend by saying “hello” — and Waldron agrees with those who say that regulating offensive speech is a bad and unworkable idea. But harms to dignity, he contends, involve more than the giving of offense. They involve undermining a public good, which he identifies as the “implicit assurance” extended to every citizen that while his beliefs and allegiance may be criticized and rejected by some of his fellow citizens, he will nevertheless be viewed, even by his polemical opponents, as someone who has an equal right to membership in the society. It is the assurance — not given explicitly at the beginning of each day but built into the community’s mode of self-presentation — that he belongs, that he is the undoubted bearer of a dignity he doesn’t have to struggle for. Even though hate speech is characterized by First Amendment absolutists as a private act of expression that should be protected from government controls and sanctions, Waldron insists that “hate speech and defamation are actions performed in public, with a public orientation, aimed at undermining public goods.” That undermining is not accomplished by any particular instance of hate speech. Waldron observes that legal attention to large-scale structural, as opposed to individual, harms is a feature of most other Western societies, which, unlike the United States, have hate speech regulations on their books. He finds it “odd and disturbing that older and cruder models remain dominant in the First Amendment arena.” But as he well knows, it is not so odd within the perspective of current First Amendment rhetoric, which is militantly libertarian, protective of the individual’s right of self-assertion no matter what is being asserted, and indifferent (relatively) to the effects speech freely uttered might have on the fabric of society. It was not always thus. At one time, both the content and effects of speech were taken into account when the issue of regulation was raised. Is this the kind of speech we want our children to see and hear? Are the effects of certain forms of speech so distressing and potentially dangerous that we should take steps to curtail them? Is this form of speech a contribution to the search for truth? Does it have a redeeming social value? Since New York Times v. Sullivan (1964) these questions, which assess speech in terms of the impact it has in the world, have been replaced by a simpler question — is it speech? — that reflects a commitment to speech as an almost sacrosanct activity. If the answer to that question is “yes,” the presumption is that it should be protected, even though the harms it produces have been documented. With the phrase “on his own merit,” Frankfurter gestures toward the view of dignity he is rejecting, the view in which dignity wells up from the inside of a man (or woman) and depends on an inner strength that asserts itself no matter how adverse or hostile external circumstances may be, including the circumstance in which the individual is confronted with signs, posters and pamphlets demeaning his race or ethnic origin or religion or sexual preference. In this picture, the responsibility for maintaining dignity rests with the individual and not with any state duty to devise rules and regulations to protect it. In short, the game is over before it begins if your opponent can be counted on to say that either there is no demonstrated harm or, no matter how much harm there may be, it will not be enough to justify restrictions on speech. If that’s what you’re up against, there is not much you can do except point out the categorical intransigence of the position and offer an (unflattering) explanation of it. Waldron’s explanation is that the position is formulated and presented as an admirable act of unflinching moral heroism by white liberal law professors who say loudly and often that we must tolerate speech we find hateful. Easy to say from the protected perch of a faculty study, where the harm being talked about is theoretical and not experienced. But what about the harm done “to the groups who are denounced or bestialized in pamphlets, billboards, talk radio and blogs? … Can their lives be led, can their children be brought up, can their hopes be maintained and their worst fears dispelled in a social environment polluted by those materials”? Waldron answers “no,” and he challenges society and its legal system to do something about it. But the likelihood that something will be done is slim if Waldron is right about the state of First Amendment discourse: “[I]n the American debate, the philosophical arguments about hate speech are knee-jerk, impulsive and thoughtless.” Not the arguments of this book, however; they hit the mark every time. Y la rspuesta de Waldron, tomada de aquí. I am grateful to Stanley Fish for his review and for the sympathetic attention he paid to the detailed arguments in “The Harm in Hate Speech.” I also appreciate the responses to Fish’s review. The issue of hate speech legislation is, in my view, a difficult one. There are good arguments on both sides and, among the respondents, the critics have flagged a number of important issues. But even those who love the First Amendment should be interested in at least understanding the things that can be said on the other side, if only to reinforce their sense of what’s distinctive about this country’s commitments. A large proportion of the other advanced democracies in the world combine a commitment to free speech with rules prohibiting hate speech. Isn’t it worth considering how they do this? And why? No one is burning the constitution here. We’re just trying to think about it. Democracies like Britain, France, Germany, Denmark, Canada and New Zealand all prohibit hate speech of various kinds. They do so for what they think are good reasons. It is worth thinking about those reasons. Are they good reasons that (from an American First Amendment perspective) are just not strong enough to stand up against our overwhelmingly powerful commitment to free speech? Or are they simply bad reasons? I think some of the things people cite in favor of hate speech regulation are bad reasons — like trying to protect people from being offended and annoyed. I agree with Stanley Fish about that. But some of the reasons are about dignity, not offense — I spend a lot of time in the book thinking aloud about that distinction — and these reasons are worth taking seriously, even if ultimately we think they are trumped by the value of free speech. Rtbinc from Brooklyn asks: “What does Dignity mean here?” Shari from Cambridge, Mass., says that “dignity” remains conspicuously undefined. She calls it “a term often suspect in its uses, and very difficult to define.” Remember, though, that we are thinking about dignity as a justification for these laws, not as part of the legal text itself. So we need a broad understanding of it and an understanding of how it is affected by hate speech, not a technical definition. But what I have in mind when I talk about dignity is this — a person’s basic social status, his or her being treated as an ordinary member of society in good standing, his or her being included in the ordinary business of society. A person’s dignity is damaged, then, when he or she is publicly defamed or dehumanized, or when he or she is perceived as belonging to a group all of whose members are defamed or dehumanized. In parts of Miami some restaurant signs used to say, “Jews and dogs not welcome here.” A legal prohibition on such signs would be aimed at securing the inclusiveness of the social environment against such attempts to undermine it. Well, fortunately, we don’t have to reinvent the wheel on this one. We can draw on the legislative and regulatory experience of the dozens of democracies that already do this — that have enacted well-drafted hate speech laws and have amended and refined them over the years. They define hate speech in terms of the manner of speaking (threateningly, abusively) and in terms of its intended object (to stir up hatred against some group). And the legislation is often at pains to identify modes of robust speech and debate that are not prohibited. For example, the British Public Order Act stipulates that “a person who uses threatening, abusive or insulting words or behaviour, or displays any written material which is threatening, abusive or insulting, is guilty of an offence if (a) he intends thereby to stir up racial hatred, or (b) having regard to all the circumstances racial hatred is likely to be stirred up thereby.” The statute defines various defenses like talking in a private place or being unaware of the likelihood that the speech would stir up racial hatred. Again, the statute defines religious hatred as “hatred against a group of persons defined by reference to religious belief or lack of religious belief” but it also insists that nothing in the statute “shall be read or given effect in a way which prohibits or restricts discussion, criticism or expressions of antipathy, dislike, ridicule, insult or abuse of particular religions or the beliefs or practices of their adherents, or of any other belief system or the beliefs or practices of its adherents, or proselytizing or urging adherents of a different religion or belief system to cease practicing their religion or belief system.” It tries to protect the believers from defamation but not the belief. The British statute is not perfect, and its exact terms continue to be debated. Other countries take different approaches. My point is that we would have a wealth of examples to draw on if we were really interested in the questions of drafting and definition. And in each case, there are slippery-slope dangers that we have to face up to with legislative care and regulative safeguards. James B. Huntington of Eldred, N.Y., mentioned Oliver Wendell Holmes’s image of the person who shouts “Fire!” in a crowded theater (that is not on fire) as a clear example of an exception to the free speech principle (as opposed to the vague exception he thinks I am proposing). But the crowded theater limitation can also be abused. In fact, Justice Holmes abused it when he held that publishing a pamphlet complaining that conscription violated the 13th Amendment was like shouting “Fire!” in a crowded theater, though he could point to no panic analogous to the theater example. All doctrines of exception can be abused, judge-made exceptions no less than legislative ones. I wonder. I said in the book that one of the aims of hate speech is not just to undermine the public good of inclusiveness and dignity, but also to establish a rival public good so that the racists and haters in the community can assure themselves and one another that they are not alone. I don’t think the medical analogy — “lancing a boil” — necessarily applies. It presupposes that there is a limited amount of hatred festering beneath the surface and that once it is released, it will dissipate harmlessly. But what is our evidence for that? Is it not possible that publishing racist abuse encourages others to do the same, emboldening those who are tempted by hate-filled sentiments with the awareness that they are not alone? To mix some other metaphors, perhaps it is a good thing to drive race hatred underground, depriving it of the oxygen that it needs in order to flourish. I respect these points of view. But it is not an either/or. One can ban hate speech and speak out against it. Indeed, the legal ban is itself a way of speaking out against it. The other democracies that have hate speech legislation have not given up on other responses. They just think they ought to have this in their repertoire of possible responses as well. They think that the usefulness and the design of laws against hate speech ought to be a matter of legislative judgment for each community, not something that is precluded peremptorily by judicial interpretations of free speech.